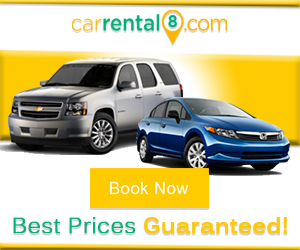 RentalCars.com is powered by Booking.com & is the largest car rental search engine that compares prices for daily, weekly, & even monthly car rentals with all trusted-name brands; like Hertz, Alamo, Budget, & Enterprise. All you have to do is input your preferred pick-up & drop off date and their search engine will list out cars and prices available to you starting from the lowest price point. ​They have a Price Match Guarantee which means that if you find a lower price elsewhere they will certainly price match the other company. Additionally, RentalCars.com promises no hidden fees or extra credit card charges as well as free cancellations on almost all bookings. ​Find the right car for your specific needs with no booking or credit card fees with the click of a button. Auto Europe specializes in giving travelers the best prices available for car rentals guaranteed! They understand you appreciate saving money whenever possible. With over 20,000 pickup locations in over 160 countries this company will have your back wherever you need transportation. Chauffeurs are also offered in Europe! ​Don't let their name fool you, Cheapflights also offers car rentals. Their easy to use, easy to navigate website allows travelers to book flights to their destination, while at the same time book their car rental. Booking through this site is convenient, saving you the trouble of having to search all over the web for a reasonable plane ticket and also an affordable rental. Lots of users have raved about CarRental8 offering significantly lower rates than competitors. They offer car rentals worldwide, with the U.S, Latin America, Australia, & Europe being some of their most popular car rental locations. CarRental8 is an international car rental broker, which means they are able to get discounts on car rental services with major providers and they pass on these discounts to you! *Please note: The content displayed on this page contains affiliate links. Please read our disclaimer for more info.